Actress Priyanka Chopra was in attendance to support singer Nick Jonas as he performed for the crowd at the VillaMix Festival, here. 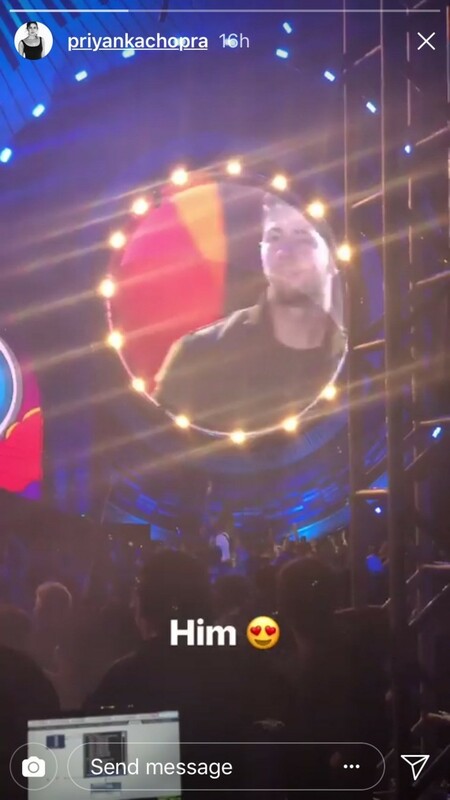 The actress also shared a video from the concert on her Instagram story writing "Him" alongside the clip and adding a heart eyes emoji. While watching Jonas perform onstage at the VillaMix Festival in Brazil on Saturday, the actress, 35, let the world know exactly what she thought of the musician's performance. 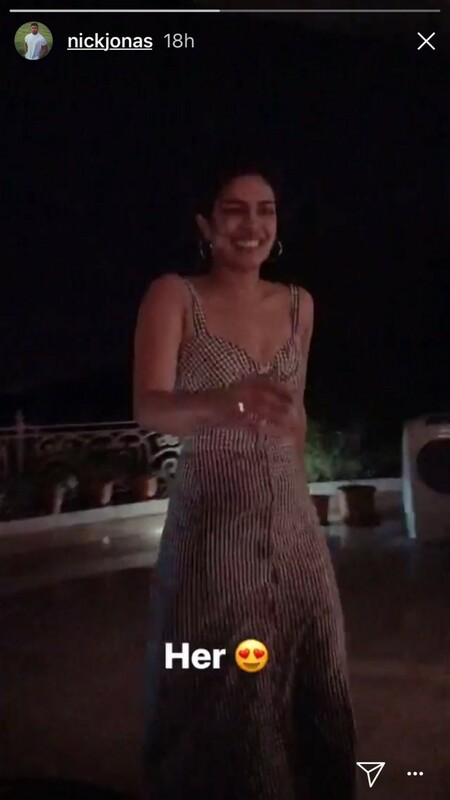 As the two made their relationship Instagram official earlier this week, the "Chains" singer shared a video of Priyanka laughing and smiling on his Instagram Story. Using the same emoji, he simply captioned the clip: "Her." Chopra, who was wearing a sparkly top that showed off just a hint of her midriff, was also spotted smiling throughout the show as she documented some of the musical moments on her phone. The two recently jetted off to Brazil after spending a week together in India, where they attended Aksha Ambani and Shloka Mehta pre-wedding bash. During their stay in India, Priyanka also called the "Jealous" singer one of her "favourite men," snapping a picture of him on the beach. Priyanka also used their getaway to introduce Jonas to her mother Madhu. "They're very happy," a source close to the couple told people.com at the time, adding, "It's getting serious." Prior to their overseas trip, the actress accompanied Jonas to his cousin Rachel Tamburelli's wedding in New Jersey.